Have you ever had a day where everything has gone wrong and the only thing that will make it right will be to climb back in bed and start over? That was me today. In preparation for this post, I lost my marbles. Literally. 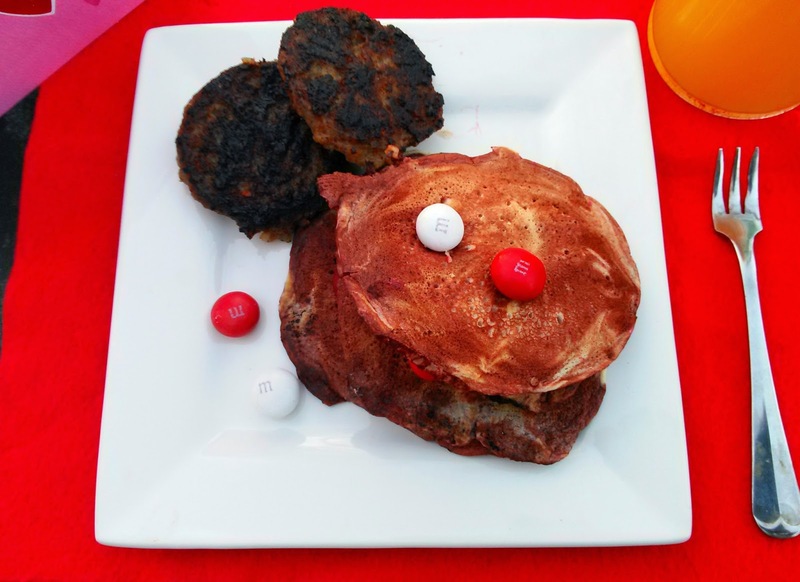 In my excitement to keep the Red Velvet Swirl Pancakes a secret from my favorite Valentine, I ripped open the bag of Red Velvet M&M's and they scattered every which way, including loose. I'm going to be finding M&M's for days, I know. I thought I'd add a little special mimosa in a glass tumbler and I dropped the glass, stepped in the shards, couldn't find any bandages, and spilled red food coloring allllll over the kitchen counter, which is a nice shade of pink now. How festive, right? In an attempt to capture an action shot of syrup cascading down the tower of pancakes, I spilled maple syrup on me, the table, my table props, my cell phone, the kitchen counter--it was a total disaster. While I'm attempting to clean up Syrup Gate, the doorbell rang and it was the UPS guy who needed my signature for a package. So I take my syrup-covered-wiry-haired-still-wearing-pajamas-at-3-PM self to the door, and I swear, I scared the guy. I scared myself. My only saving grace: the look on my mom's face when I presented the pancakes to her. My mom has always been my favorite Valentine. To celebrate minor holidays, I always cook breakfast for her. Valentine's Day is no exception. Candy-filled breakfast is by no means nutritious, but spending time together and enjoying a whimsical breakfast is our idea of a good time. In my opinion, I have never had a good Valentine's Day in the classic sense. I've never had a boyfriend or someone to lavish me with gifts, cards, jewelry and chocolate. Okay, one year I had a secret admirer stalker, but that doesn't count. I've also not given out Valentines to anyone outside of my family since 5th grade. That's probably going to change this year after everyone finds out about these pancakes. M&M’s® Red Velvet, y'all! They taste JUST LIKE red velvet. For real. I'm not even kidding. 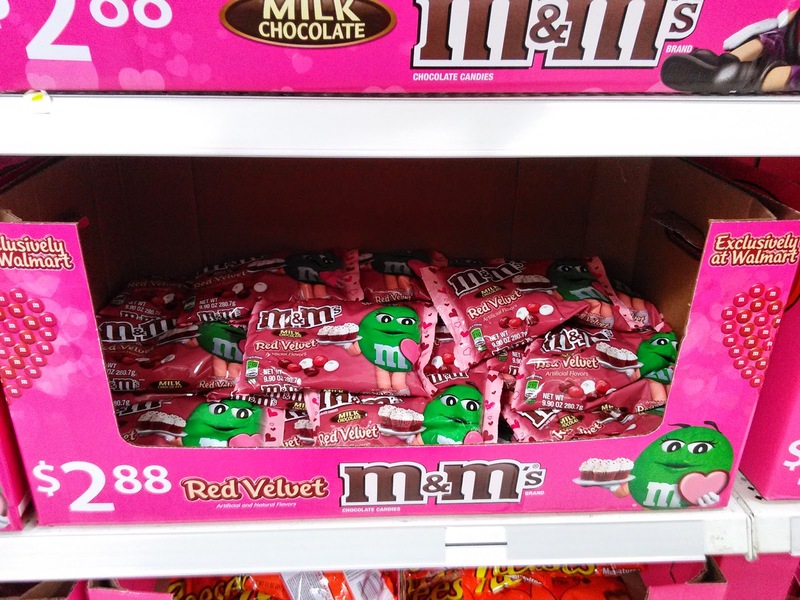 These M&M’s® are exactly what they sound like: red velvet milk chocolate M&M’s®! They're smooth, creamy and completely chocolate. I love them. 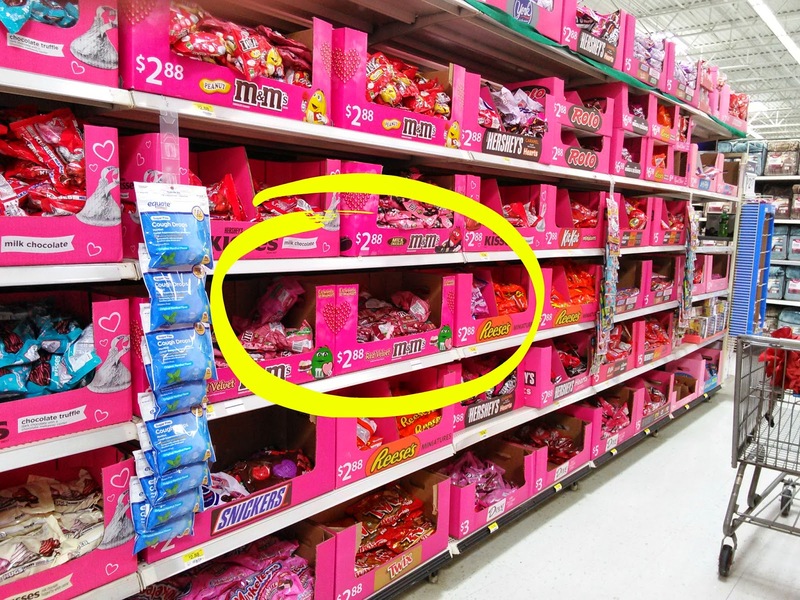 They are a limited edition candy that you can find exclusively at Walmart. Sift together first 6 ingredients into a large bowl. Whisk together buttermilk and next 3 ingredients in another bowl. Gradually stir buttermilk mixture into flour mixture just until dry ingredients are moistened. Repeat in a separate large bowl for the buttermilk pancake mixture. Pour about 1/4 cup batter for each pancake onto a hot buttered griddle or large nonstick skillet over medium heat. 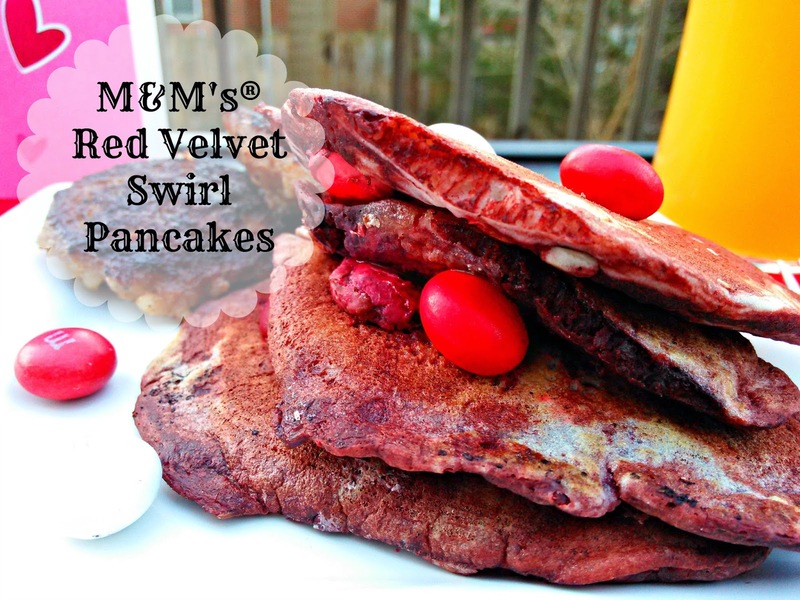 Dot each pancake with 3-5 M&M's® Red Velvet candies. Cook 3 to 4 minutes or until tops are covered with bubbles and edges look dry and cooked. Turn and cook an additional minute more. Serve immediately with maple syrup OR place in a single layer on a baking sheet in a 200°F oven up to 30 minutes, to keep warm. 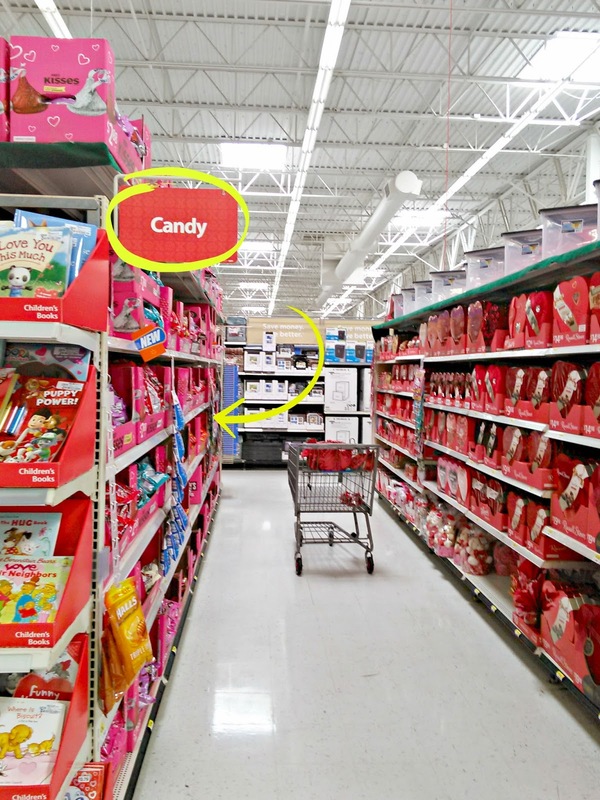 Oh man, I've gotta find those M&Ms! And your pancakes look fabulous! What a crazy morning! The pancakes look delicious, and I love that you celebrate certain holidays by making your mom breakfast. That is so sweet! Oh man - these sound so delish and addicting! Perfect for Valentine's Day! I've never seen those M n Ms before...thanks for the idea! Heres to hoping that you have a better day tomorrow. I have a weakness for m&ms! Oh how I love red velvet anything! These look delicious. I may have to give these a try. They are right on time for Valentine's Day. I seriously love red velvet anything. Must try! Thanks for sharing. Love ethis recipie! Yum. I love pancakes.